These parallel port CW keying interfaces are made by Jack Schuster W1WEF. They are built directly into a DB-25 connector shell, making for a very neat and compact package. 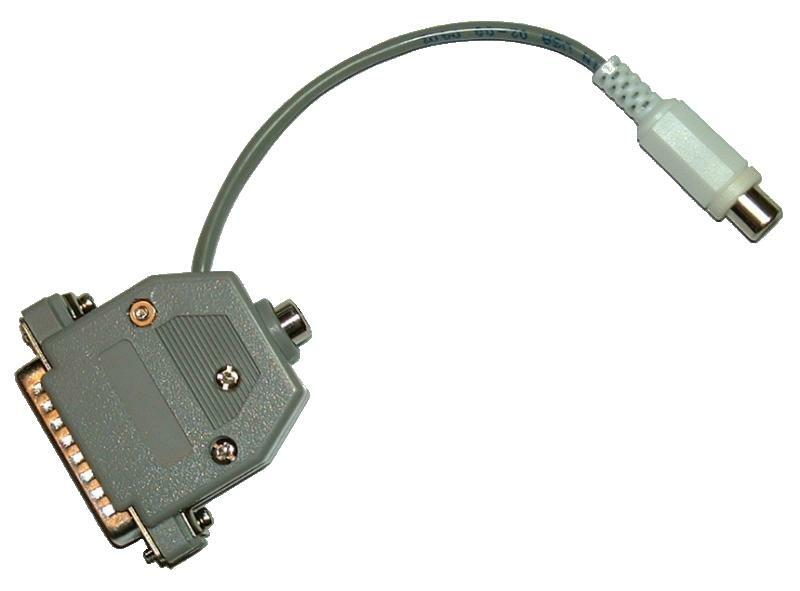 These keying interfaces will also work with CT, NA, DX4WIN, CW Type, and other Amateur Radio programs (pinout details.). Order Now! The Model 1 interface is CW only. 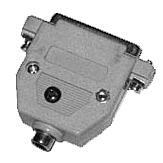 The Model 2 interface has CW and PTT outputs. The Model 3 interface has CW, PTT, and paddle support. 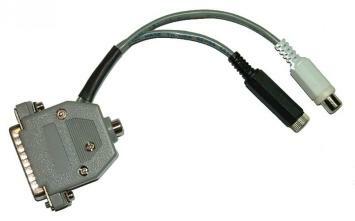 The Model 5 interface has CW, PTT, paddle, and footswitch support. Click on any of these photos to see larger images. Four models are available to key any solid state radio. (Interfaces for tube type radios are also available - please inquire.) These interfaces plug into your computer's 25-pin parallel port, and connect to your rig's CW key jack with a simple cable (provided by the user.) You can connect an external CW keyer in parallel with this interface if you wish. Radio Shack sells cables and "Y" adapters. Models 2, 3, and 5 include PTT support. This ensures that your rig and amplifier are switched into transmit before the computer starts sending code. This not only prevents the possibility of cutting off the beginning of the first character, but insures against hot switching the amplifier. One cable is run to your key jack, as above, and another to the PTT line on your radio. Models 3 and 5 includes PADDLE support in addition to the other features. You can plug your iambic paddles directly into the computer interface, eliminating the need for a separate keyer. TR LOG was the first contest logging software to support thisfeature. Model 5 includes FOOTSWITCH support in addition to the other features. With TR LOG, a footswitch can perform many tasks, such as swapping radios for two radio contesting, perform a dupe check, start sending a reply before you've completely typed in a callsign, navigate the bandmap, and more. Learn more about TR LOG's advanced footswitch mode. Because certain flavors of the Microsoft Windows operating systems do not allow real-time DOS software direct access to serial or parallel port hardware, these CW interfaces may not work properly with those operating systems. If you are using Windows NT, Windows 2000, or Windows XP, you may experience choppy or inconsistent CW sending, as the operating system preempts or interrupts the contest logging software to perform other tasks. One possible work-around may be Direct I/O. This software is not associated with TR LOG, and may or may not meet your needs.